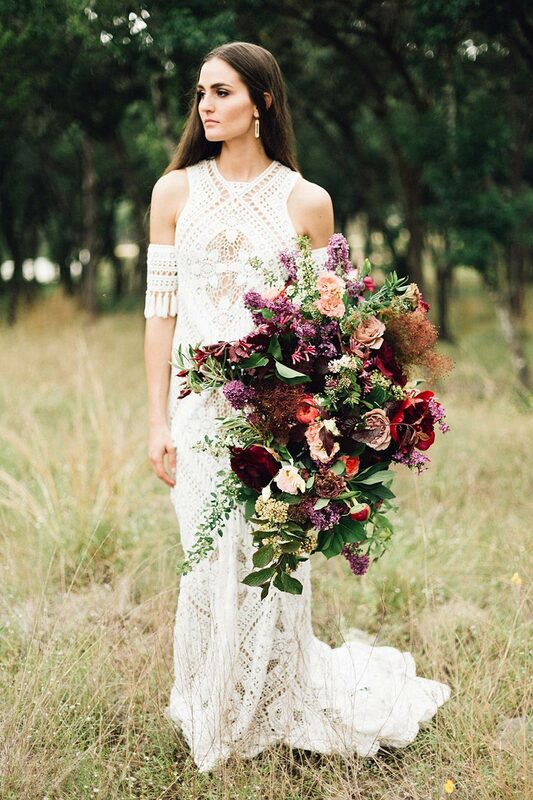 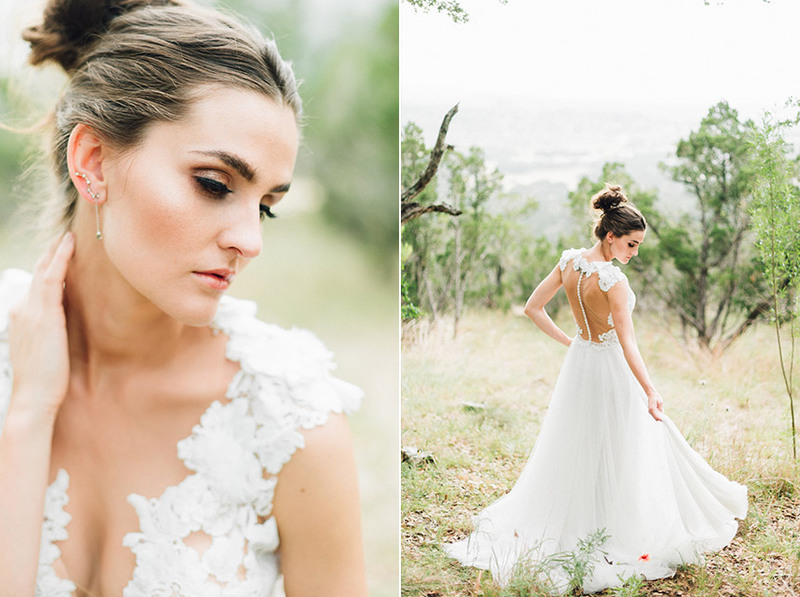 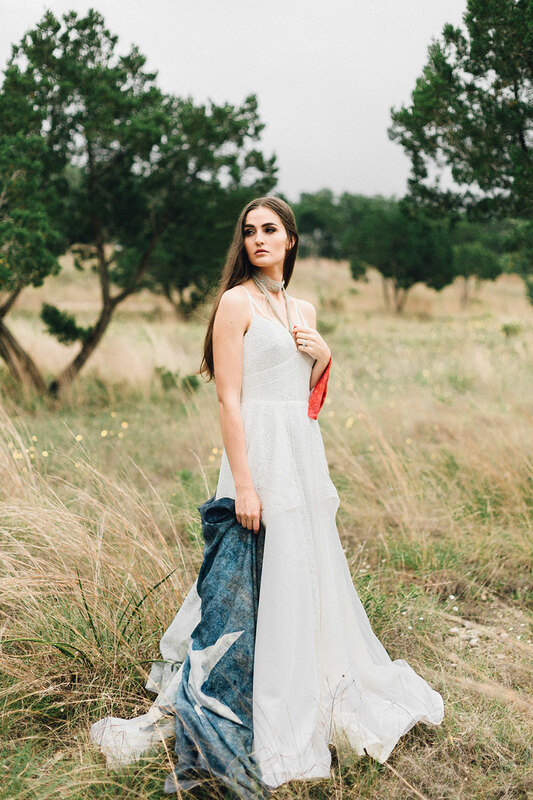 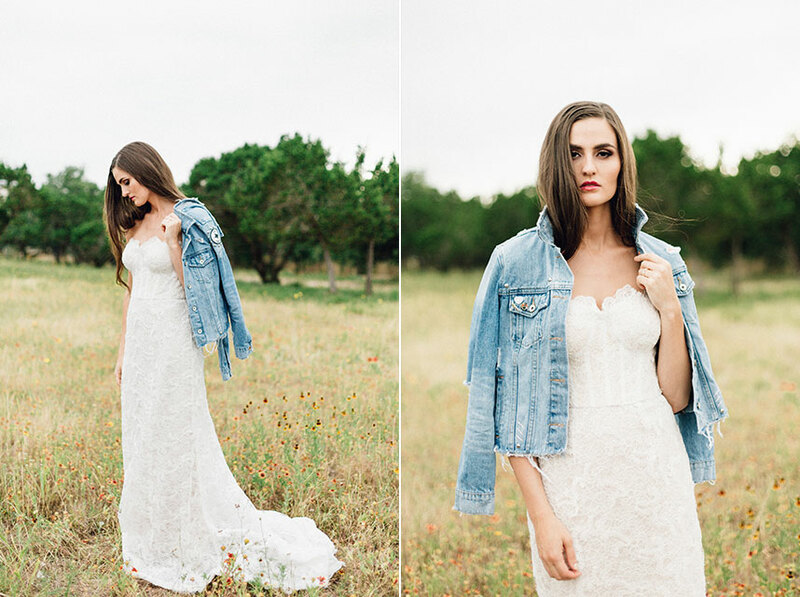 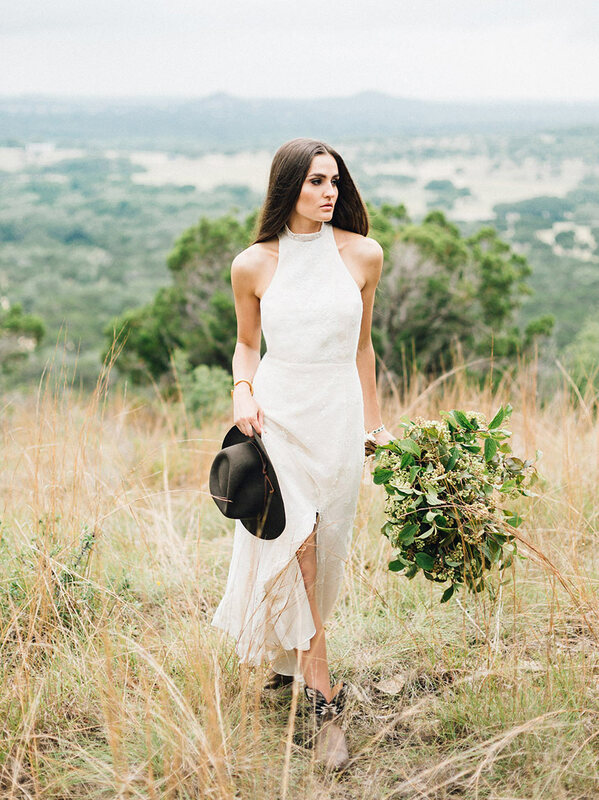 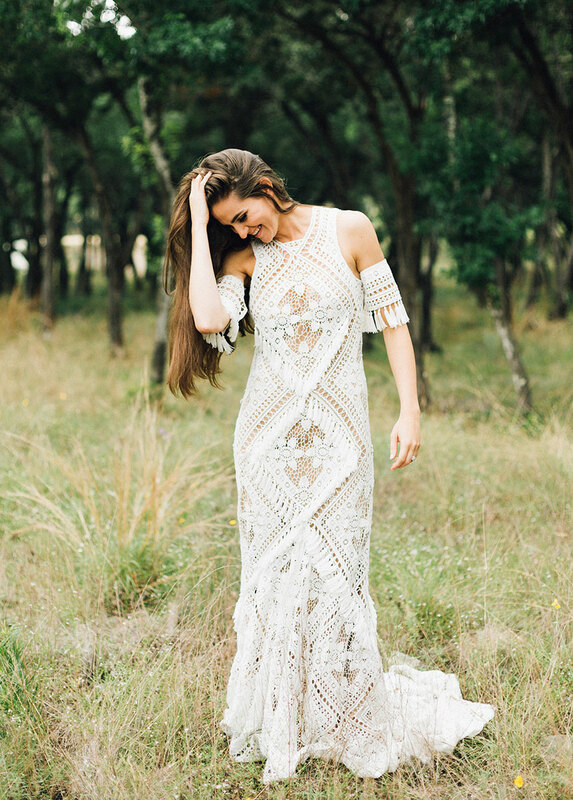 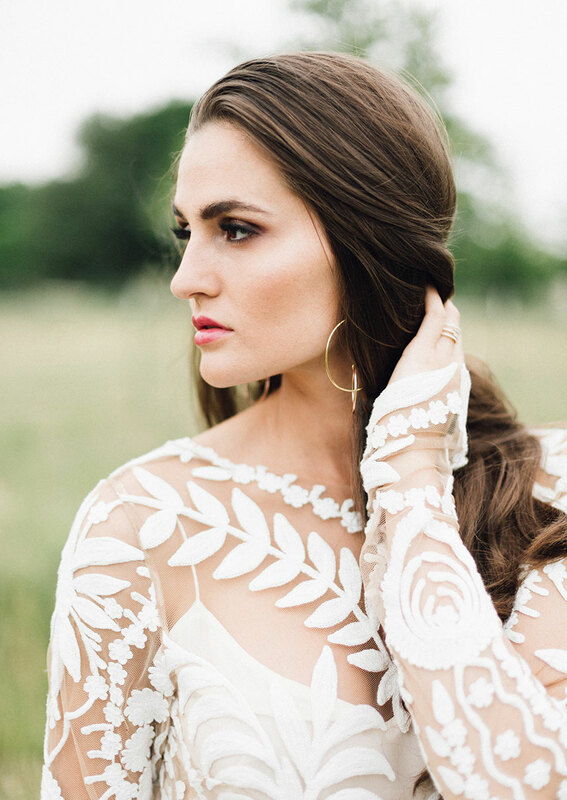 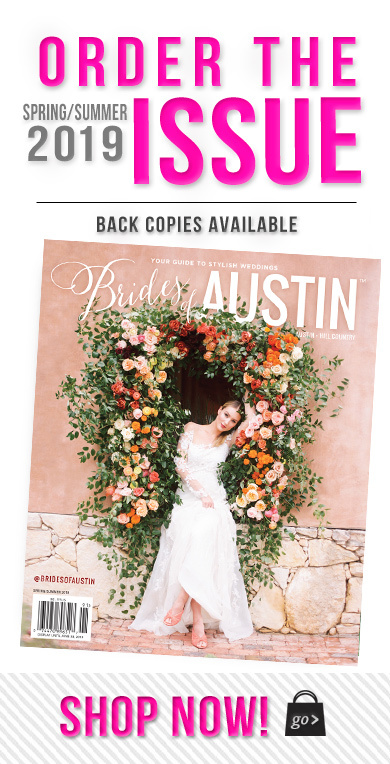 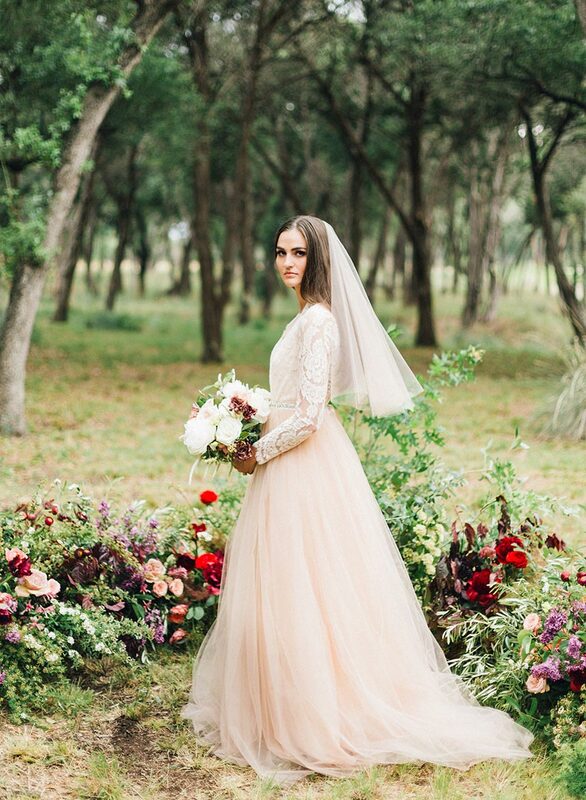 As we sat around our conference room table dreaming of the next fashion editorial to fill the pages of the Fall/Winter issue, we kept coming back to the beauty of Hill Country. 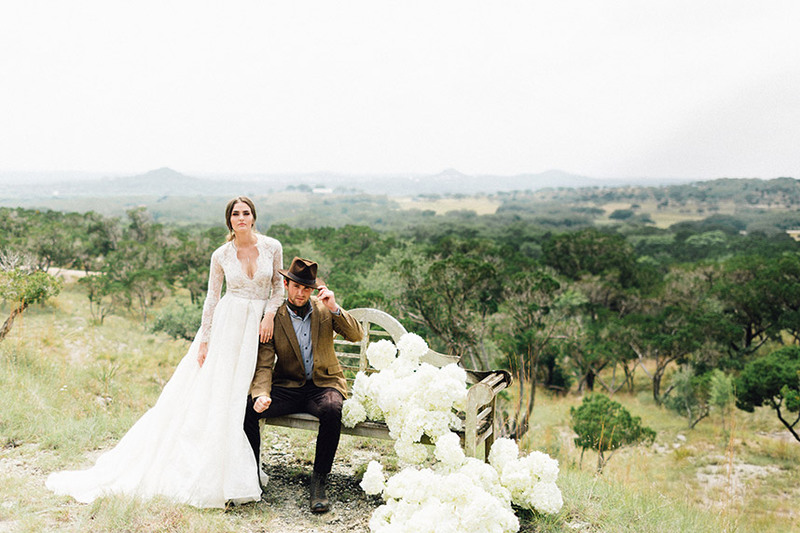 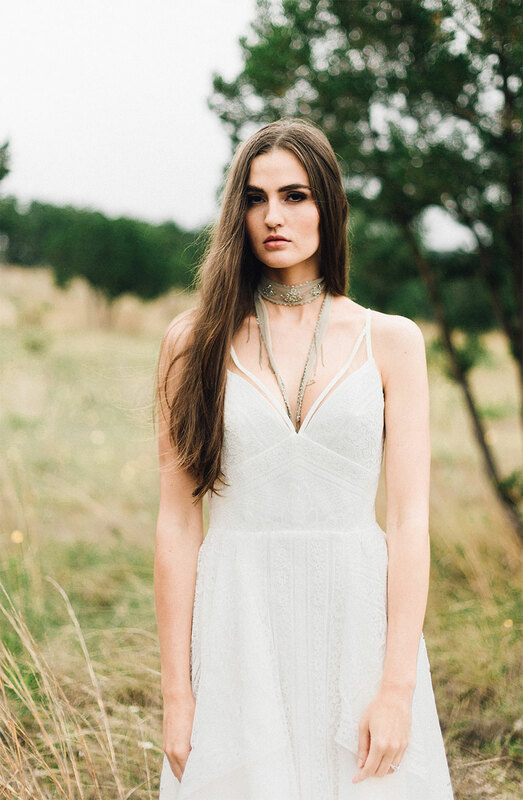 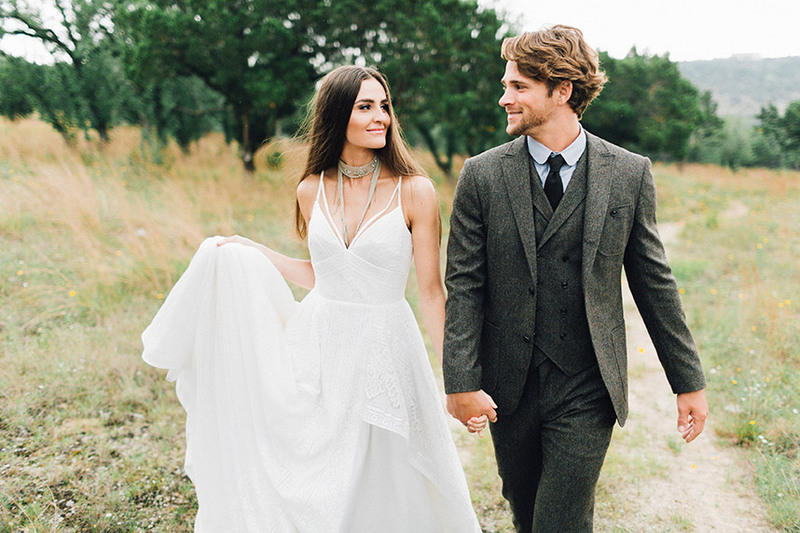 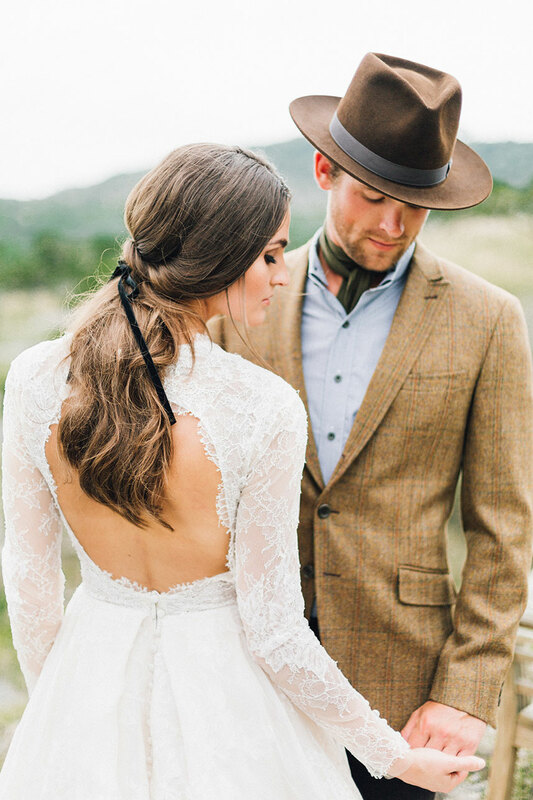 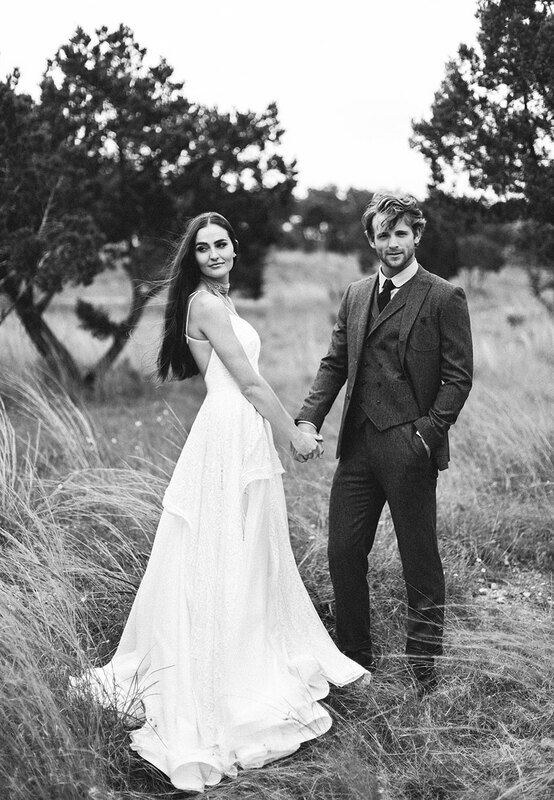 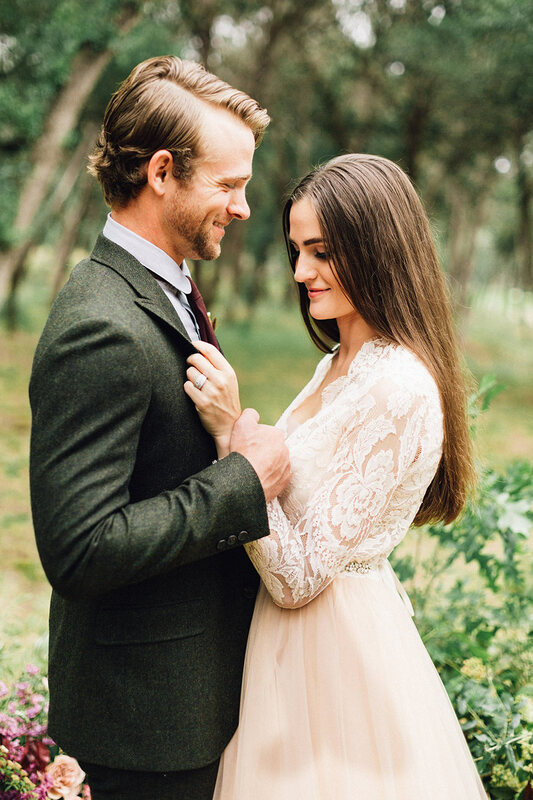 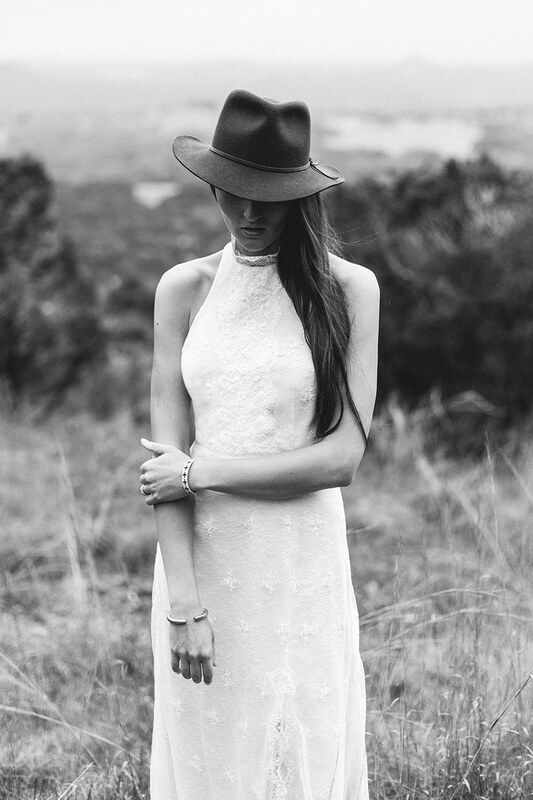 Inspired by the rugged hills and untamed landscape, we landed on the idea of a wildly romantic shoot in that very countryside. 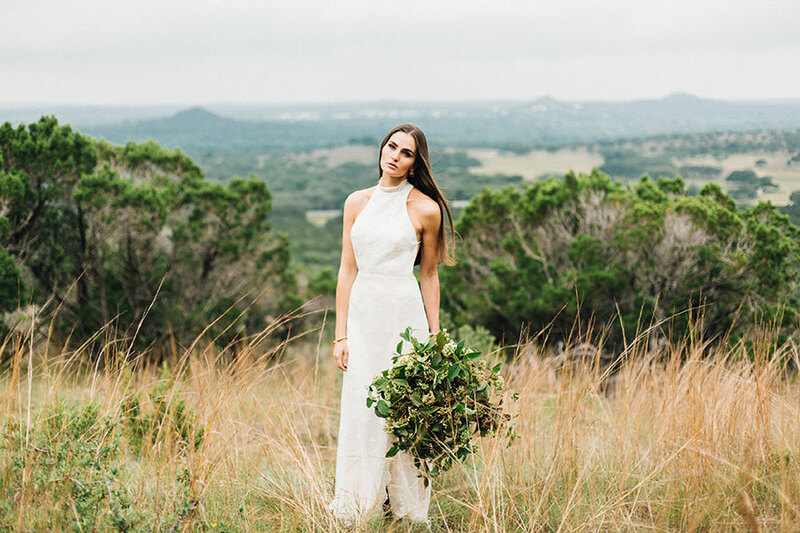 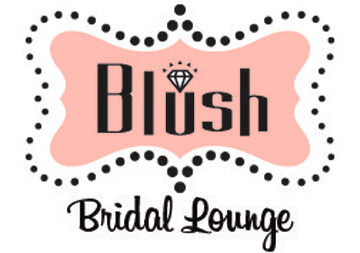 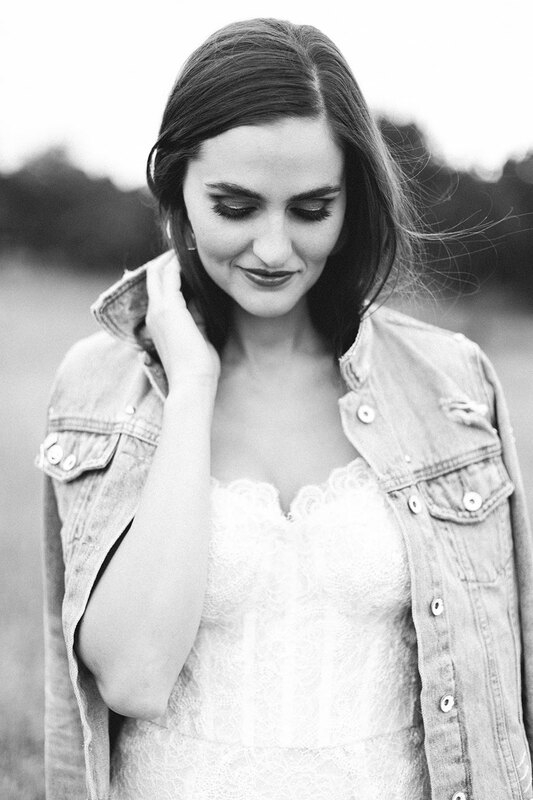 We began scouting local wedding boutiques for the perfect wedding dresses in a variety of styles to inspire every bride. 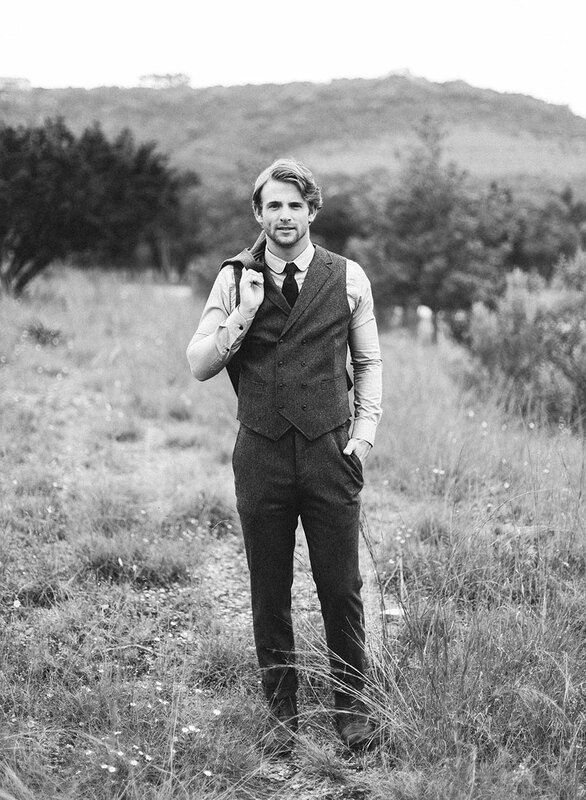 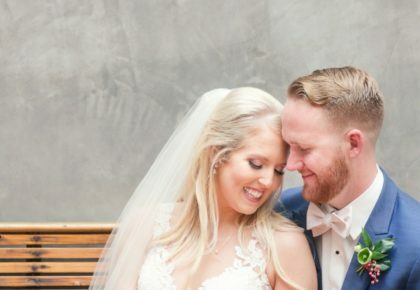 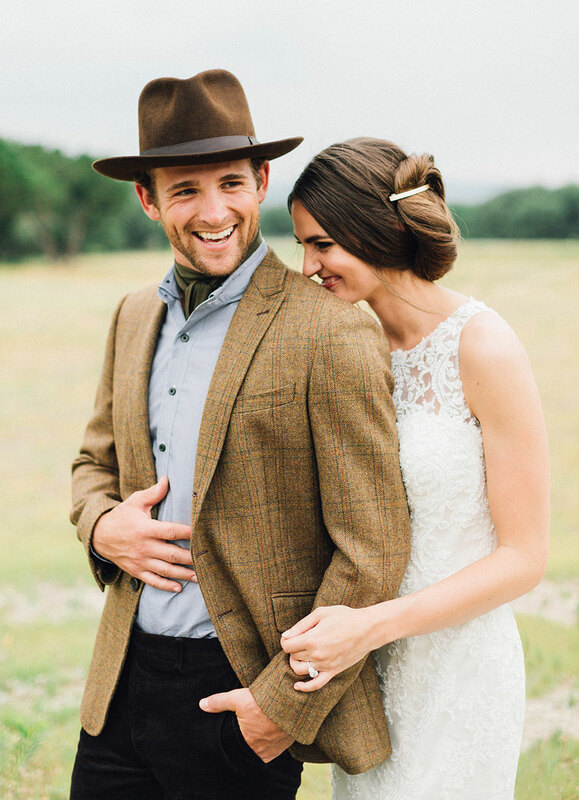 And we couldn’t think of a more fitting menswear shop than Bykowski Tailor & Garb to outfit our groom in handcrafted designs from head to toe. 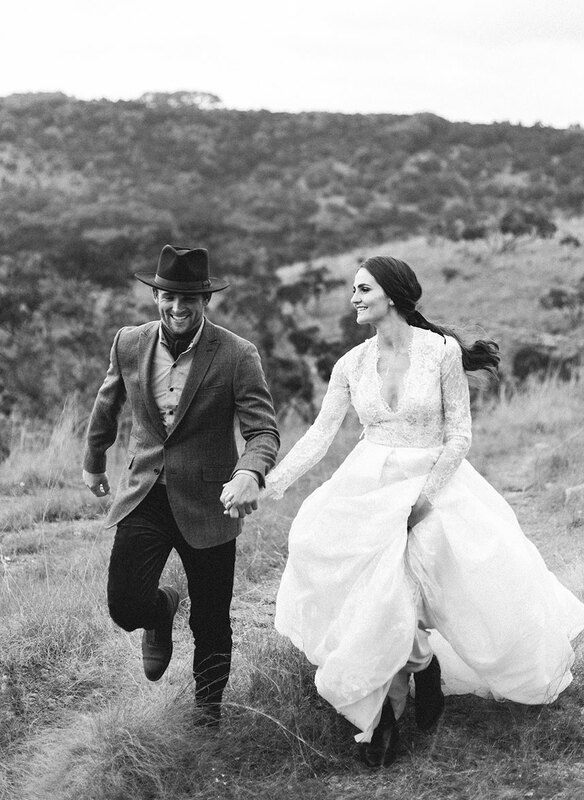 When the day arrived, it was nothing short of magical. 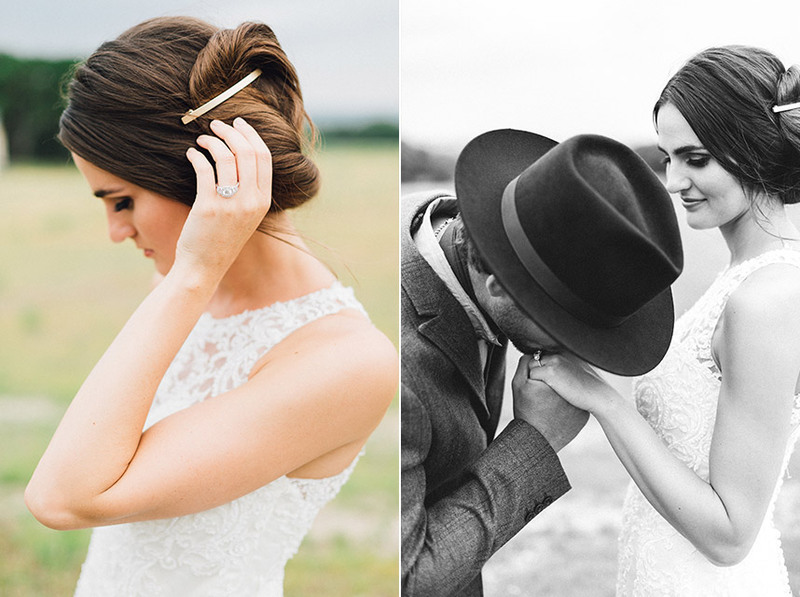 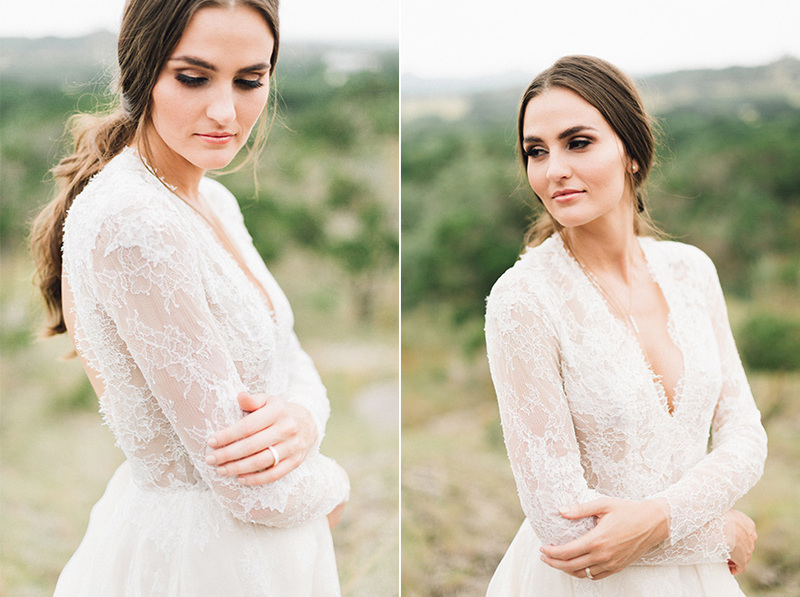 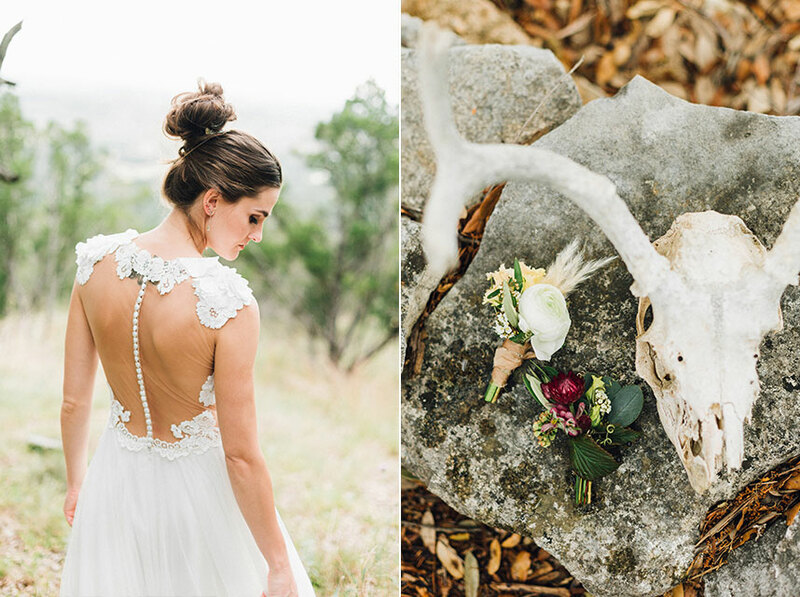 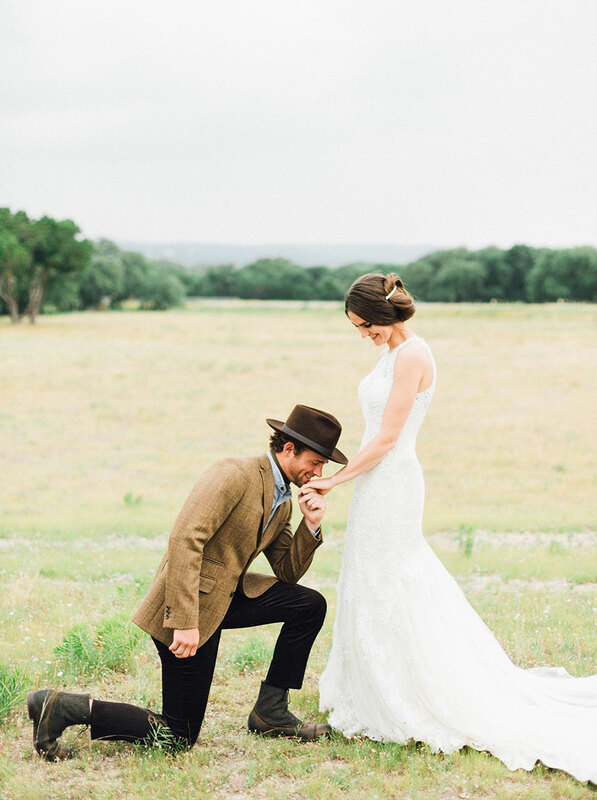 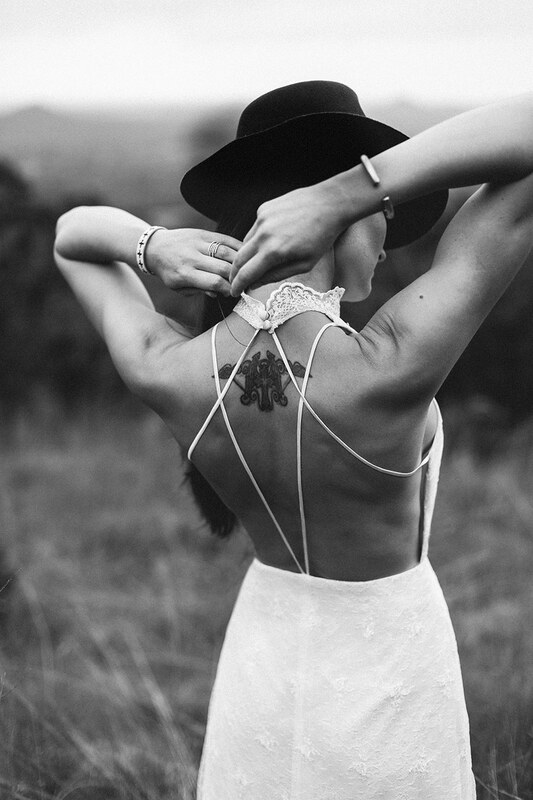 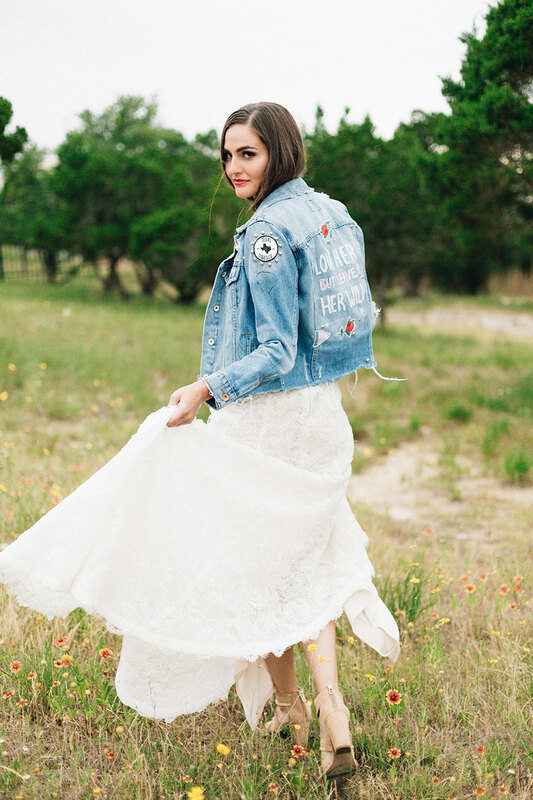 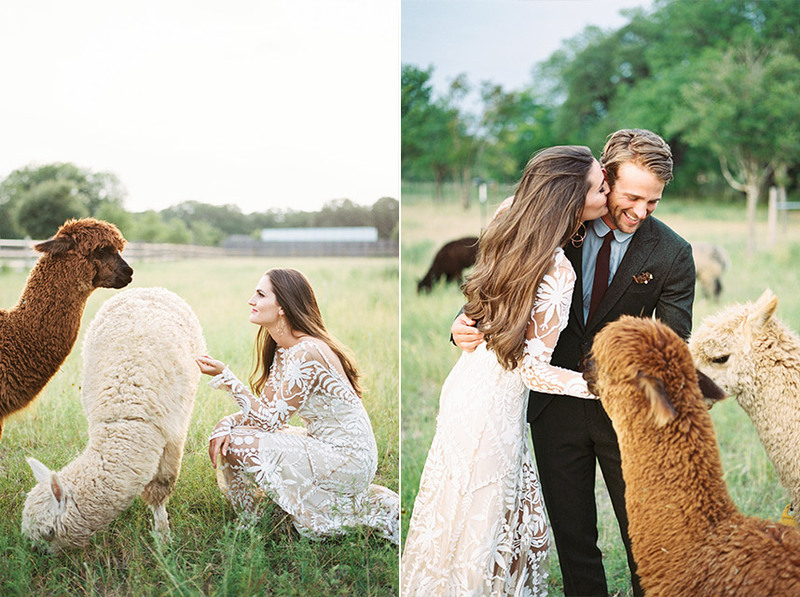 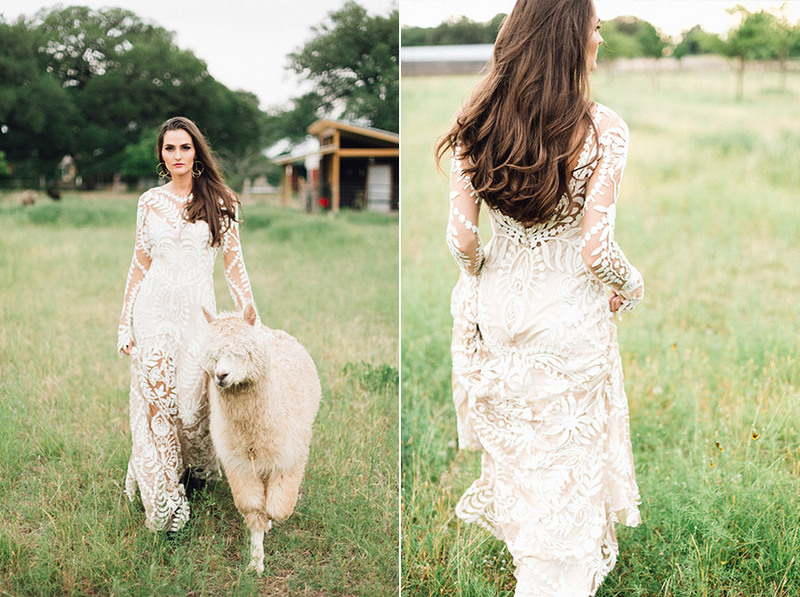 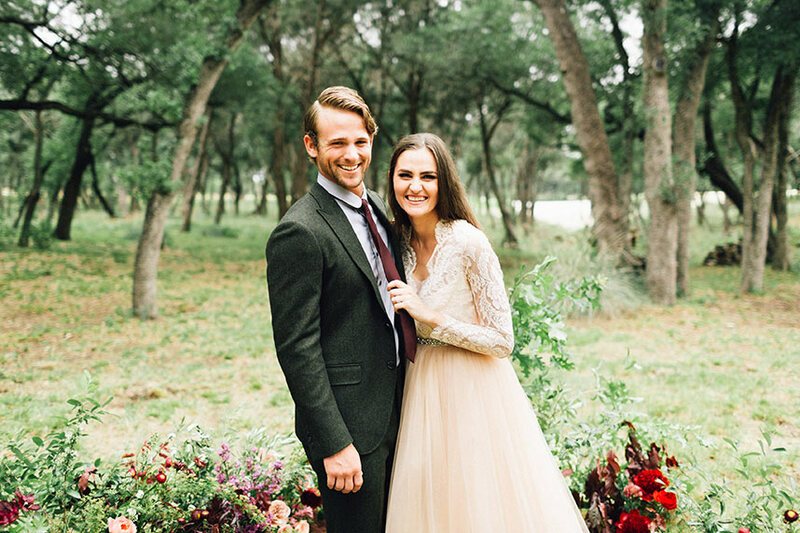 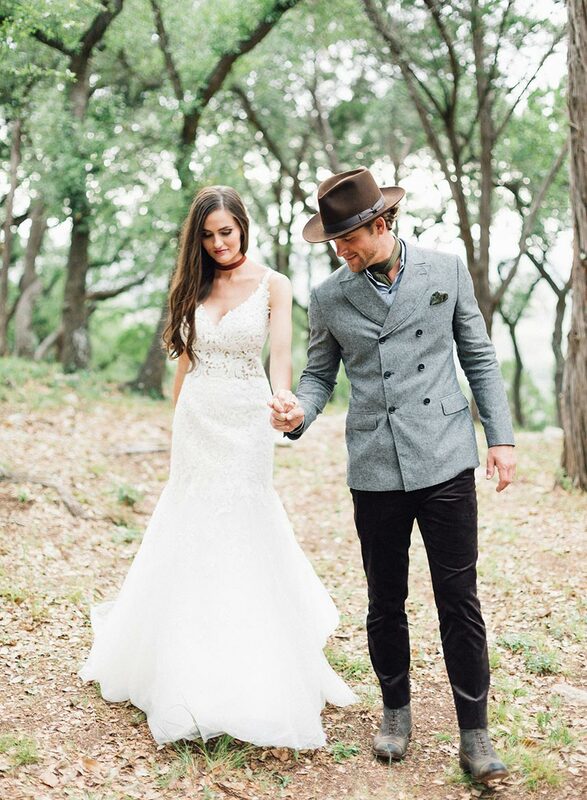 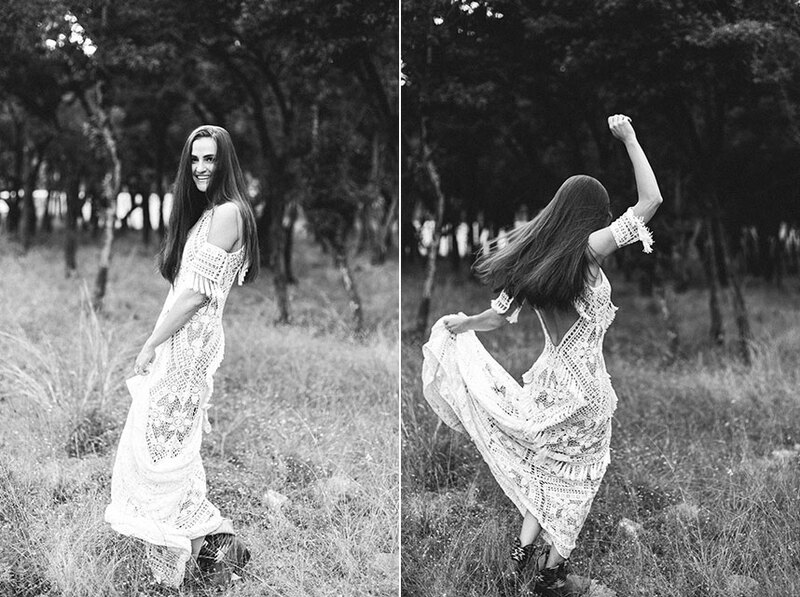 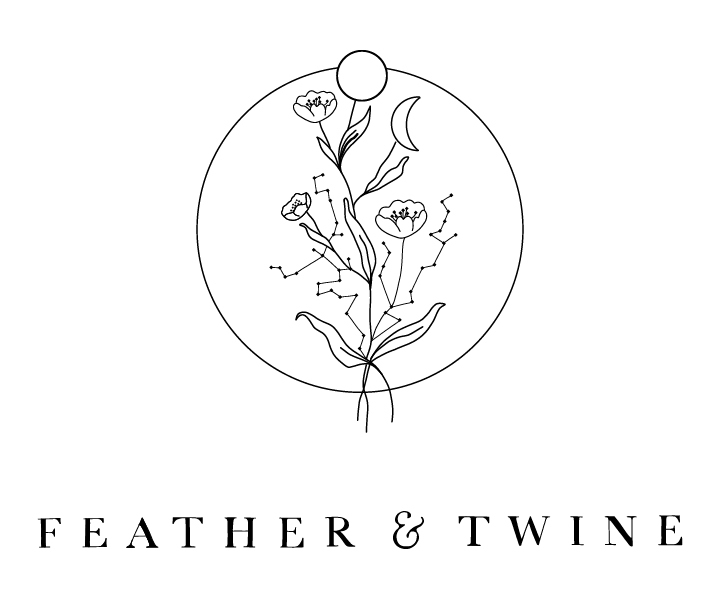 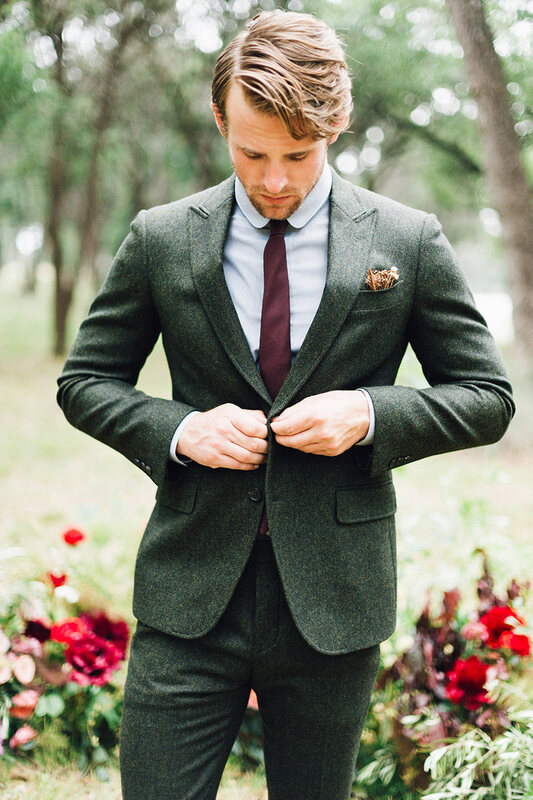 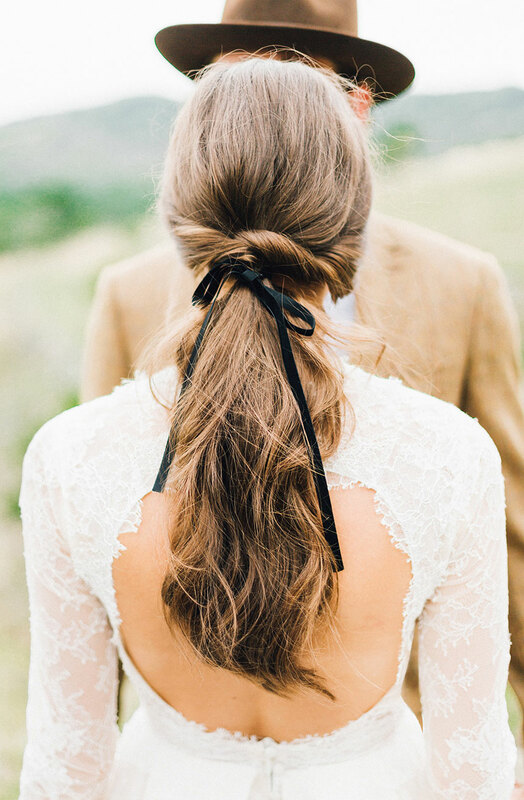 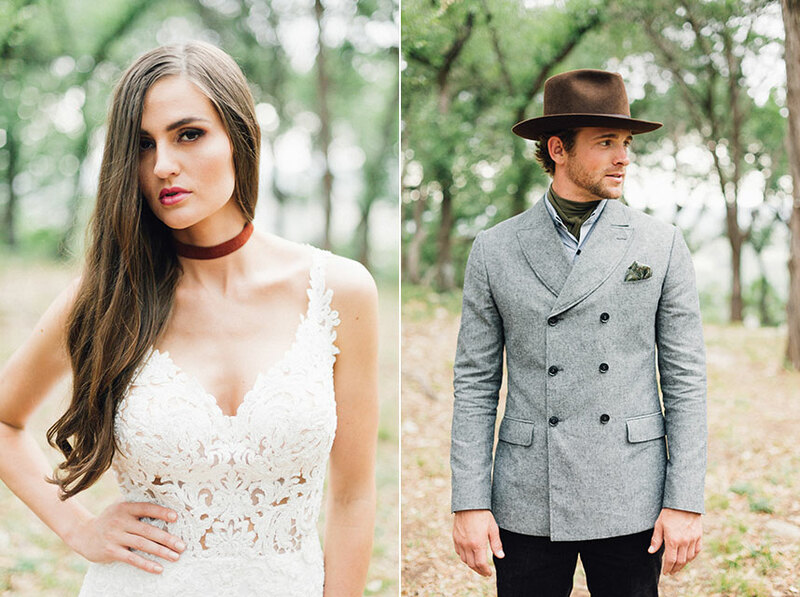 We stayed at a private ranch in Wimberley and were joined by our friends Feather & Twine to capture it all. 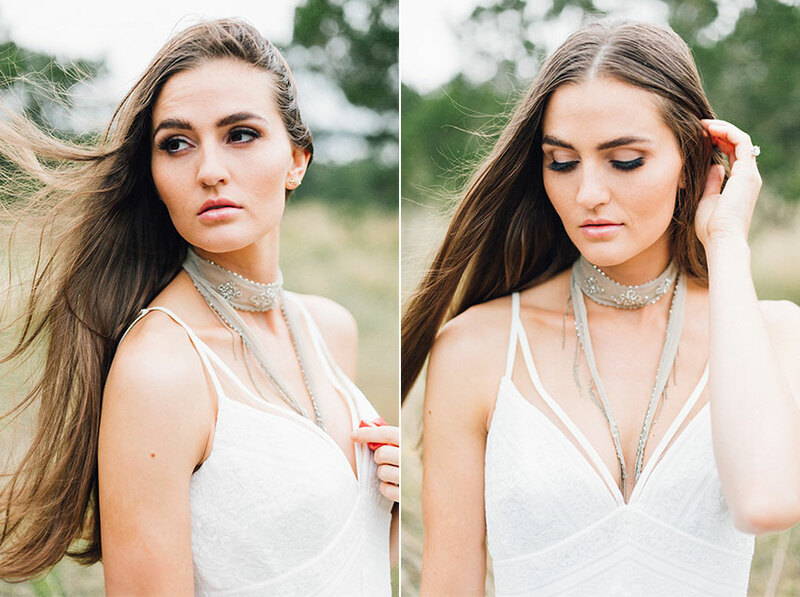 Jessica Roop Beauty & Boudoir took our beauty inspiration and made our beautiful model Christine even more stunning. 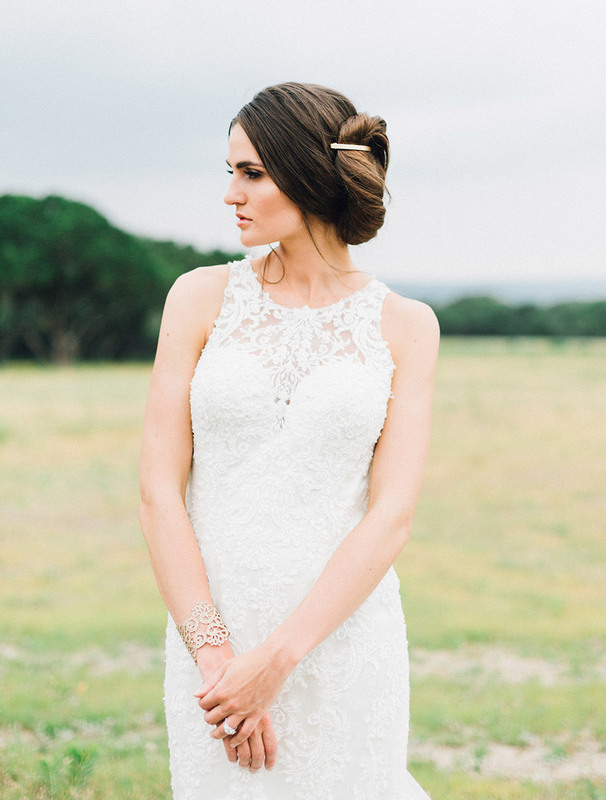 Local jeweler The Menagerie provided the most stunning engagement rings, necklaces and bracelets. 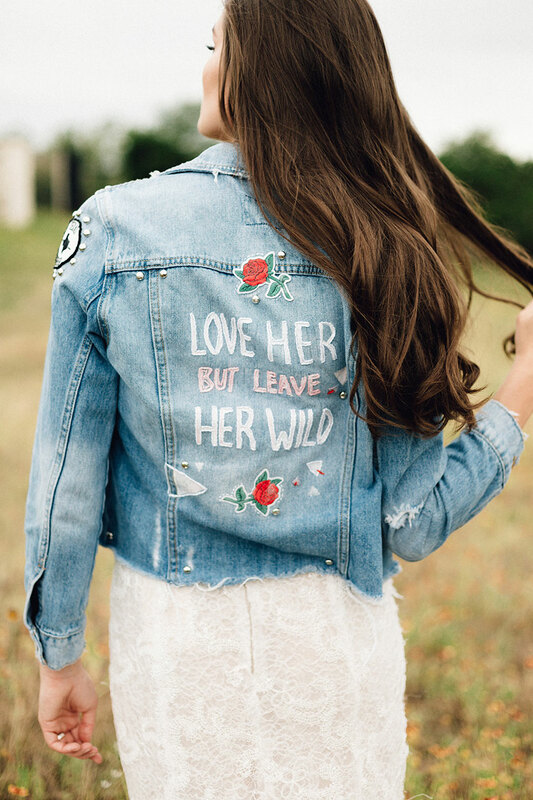 Botanical No. 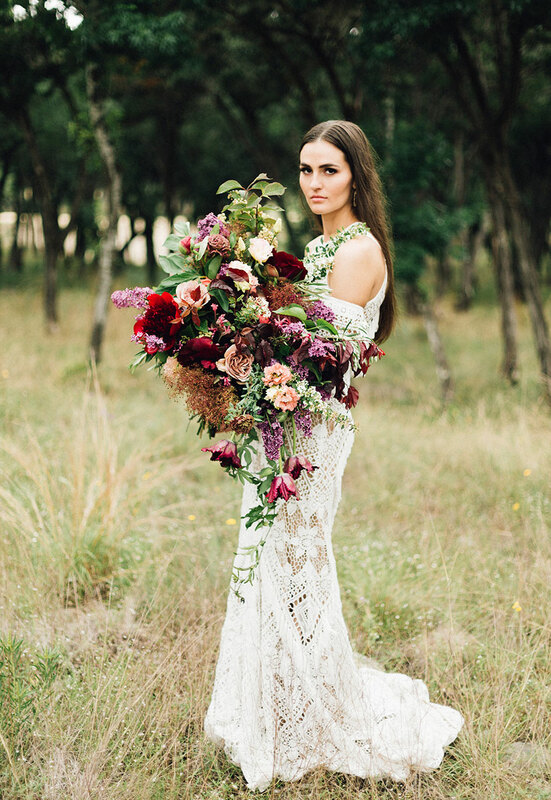 9 arrived with buckets of florals to construct what would become some of the most gorgeous bouquets and styled scenes seen to date. 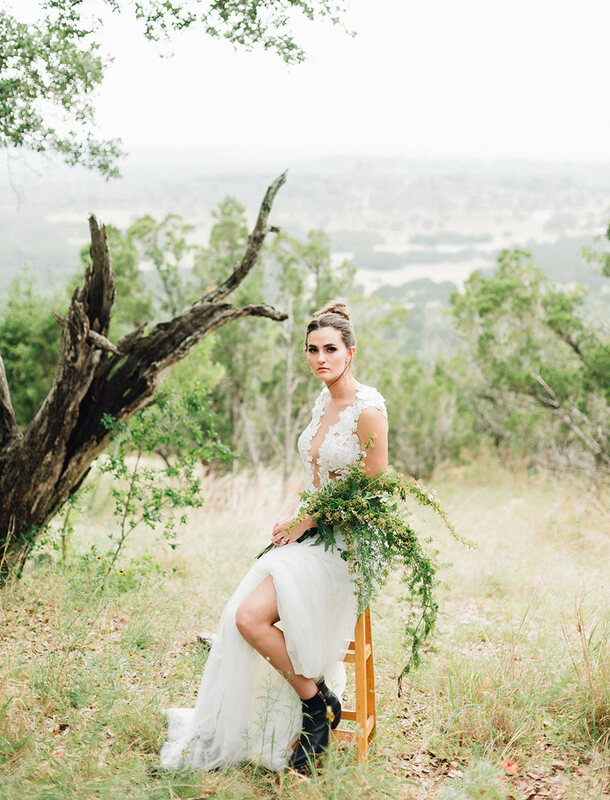 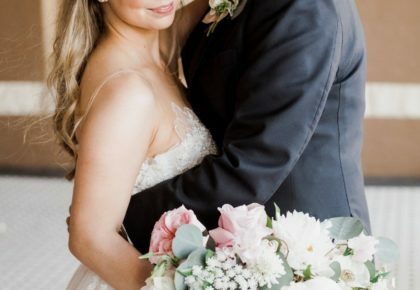 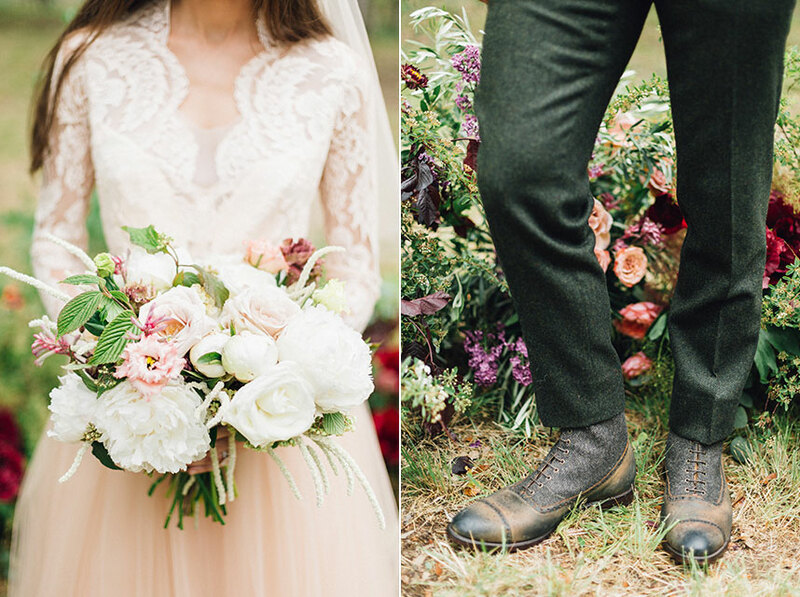 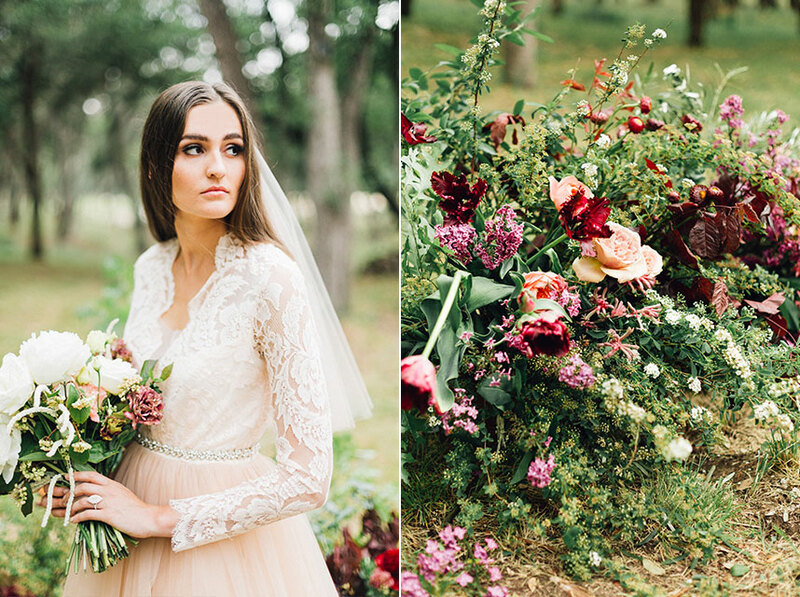 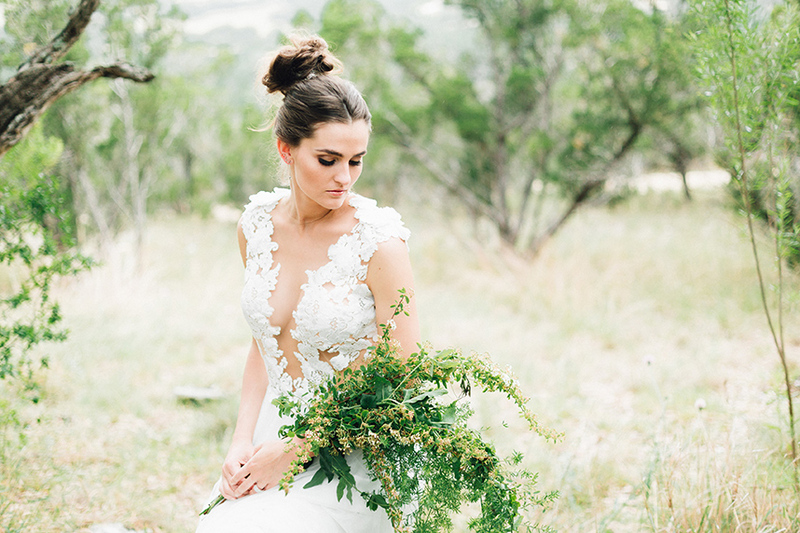 From cascading white hydrangeas on a hilltop bench to florals creating an altar that was storybook worthy, these talented florists brought the shoot to another level. 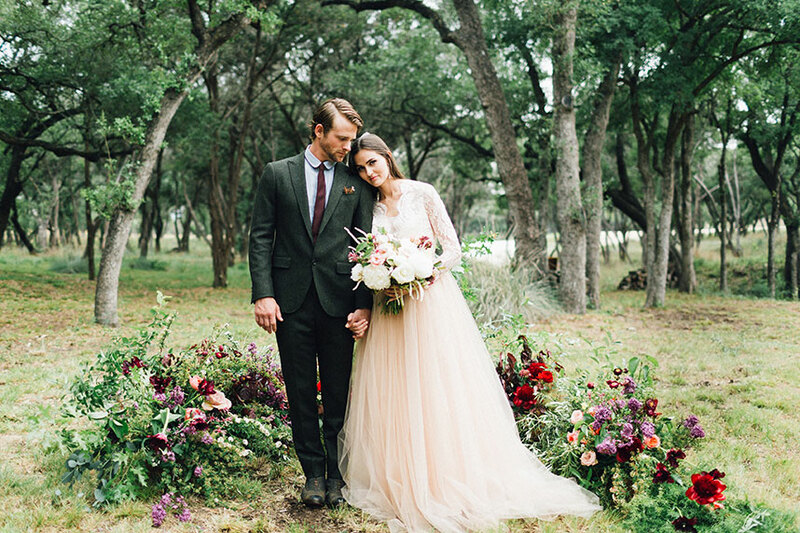 As the sun began to set in Wimberley we made our way to nearby Camp Lucy to cap off the most perfect day at this incredible locale. 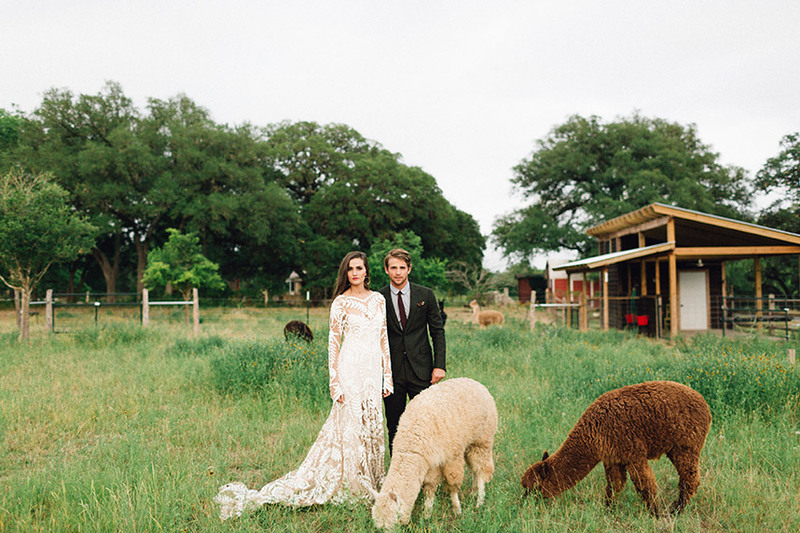 It was there that we met our furry Alpaca friends to capture the final look. 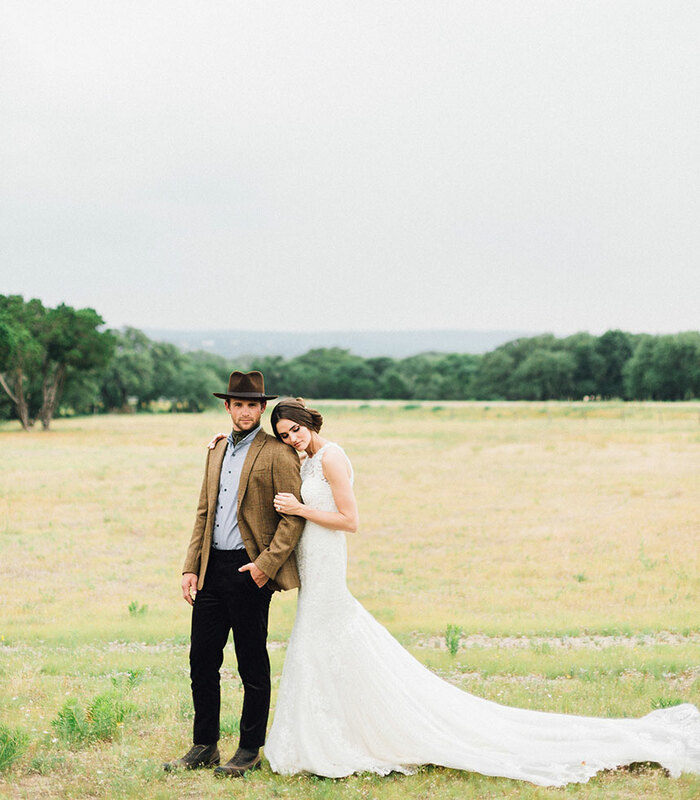 After lots of laughs, we called it a day. 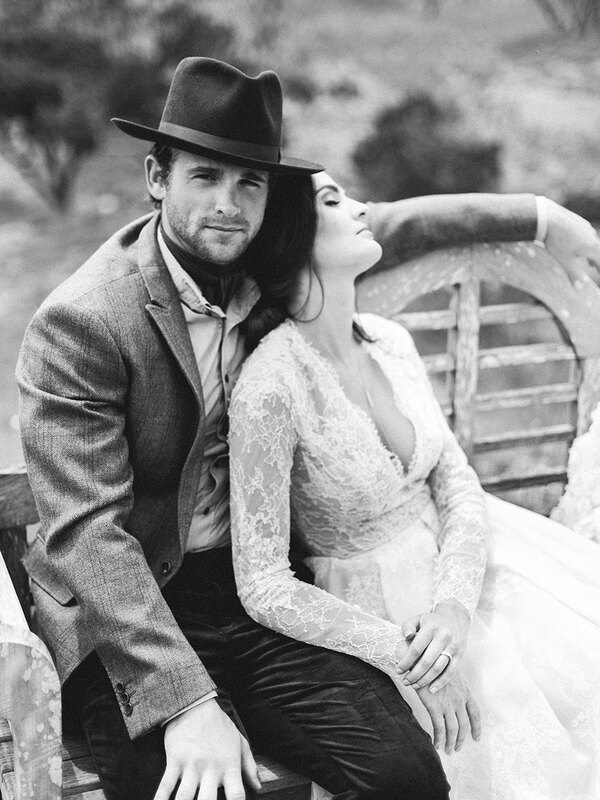 Be sure to watch the behind the scenes video captured by The McKellars above to see more from this romantic fashion editorial!